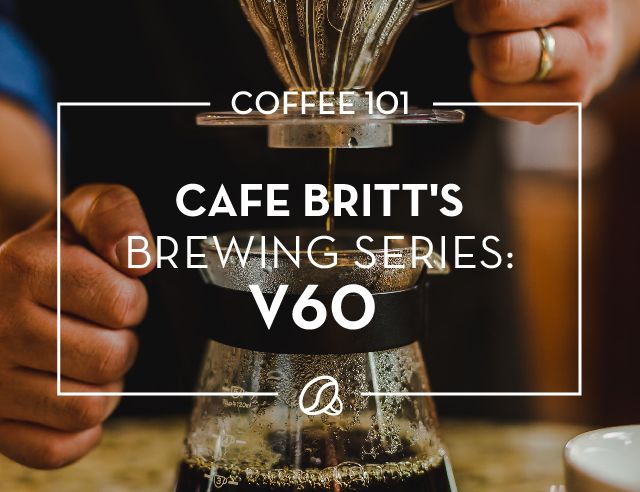 The V60 is the brewing method of choice for coffee lovers everywhere. 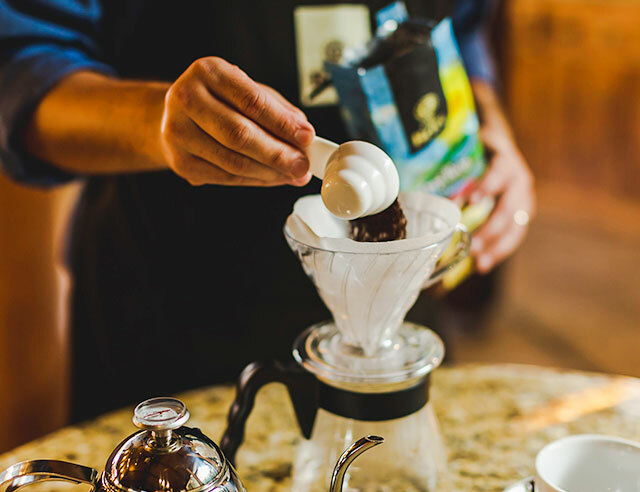 If you’ve ever ordered a pour over at a coffee shop, it’s likely you’ve already tasted what the V60 can do. 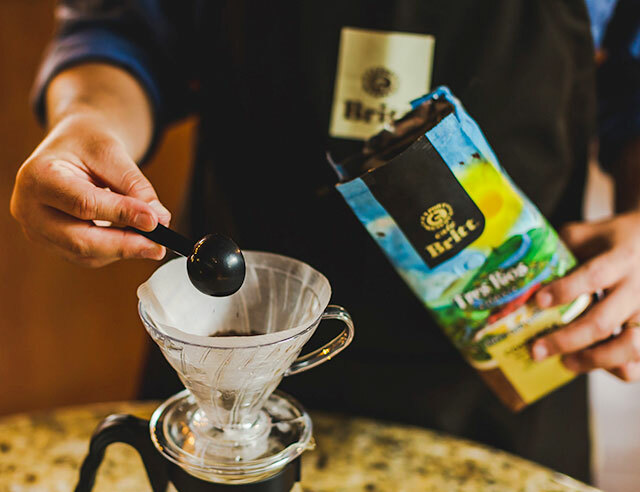 This is an easy-to-use device that delivers complex flavors and gives you control over the taste of your coffee. Boil water (8 oz or 235 ml per cup). 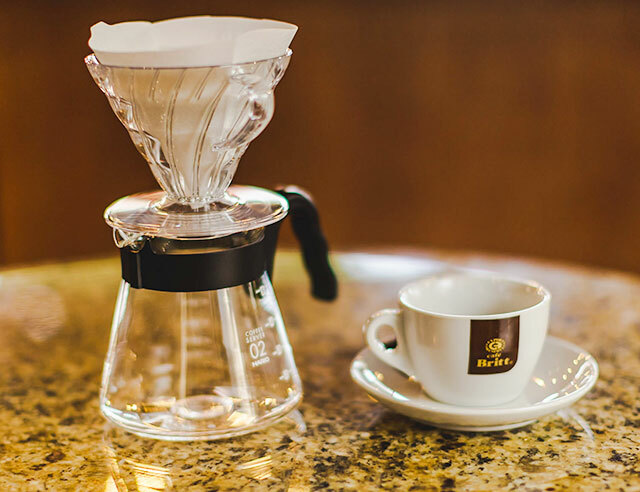 Fold the filter along the seam (it should make a cone shape) and place it in the V60. 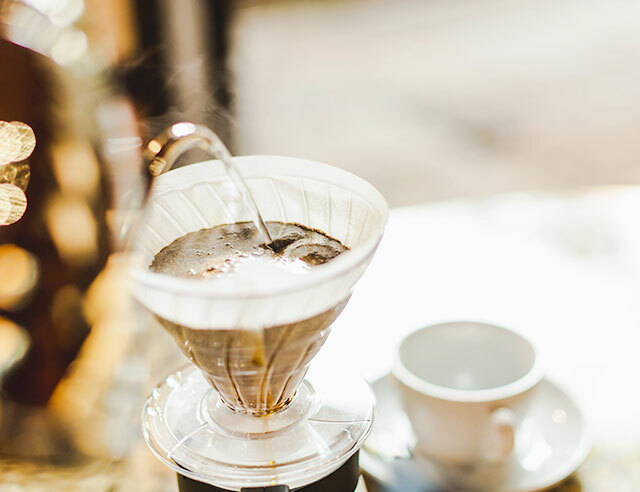 Pour hot water along the edges of the V60 so the filter adheres to it. Discard the water from the glass container. 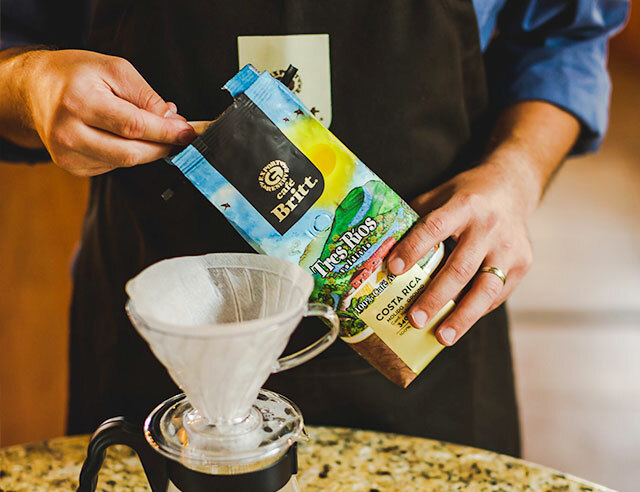 Add ground coffee (we suggest 10 g per cup, medium to fine grind) on to the paper filter. 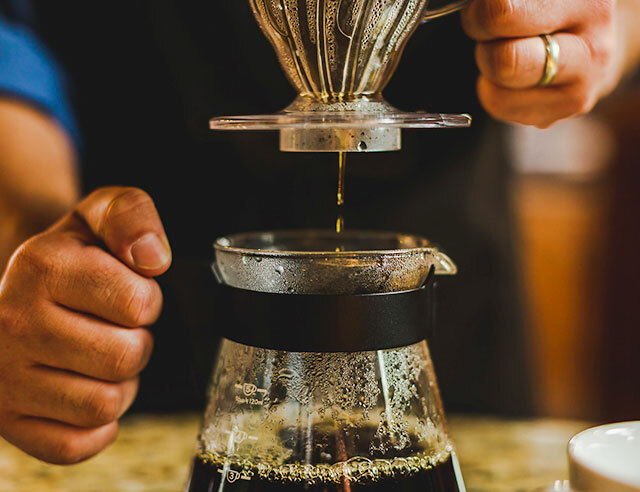 Gently shake the V60 to smooth and level out the ground coffee. 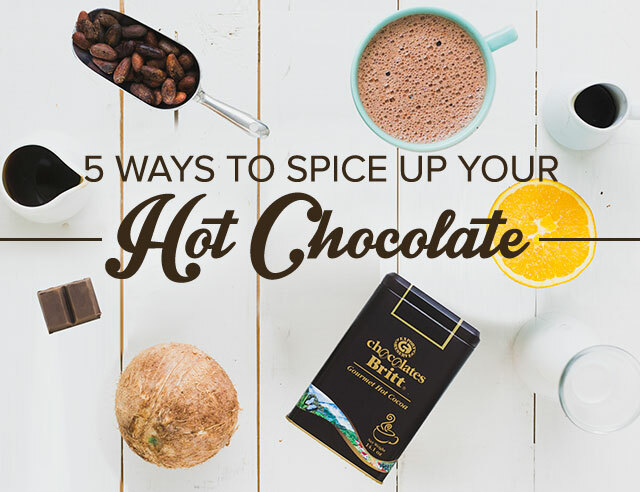 Pour the hot water over the coffee, in a slow clockwise motion. 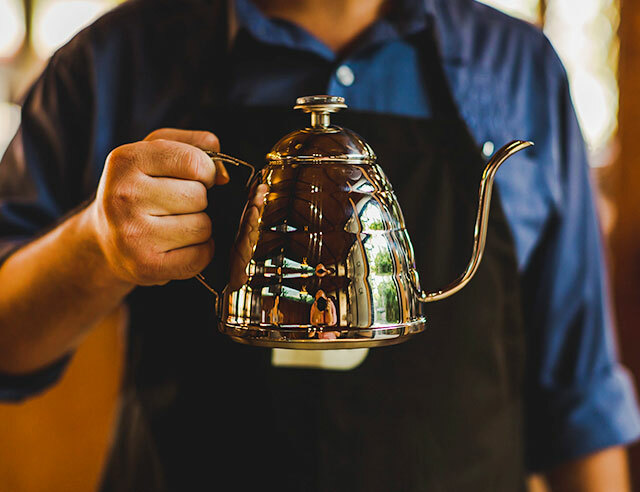 Let the coffee settle for 30 seconds. 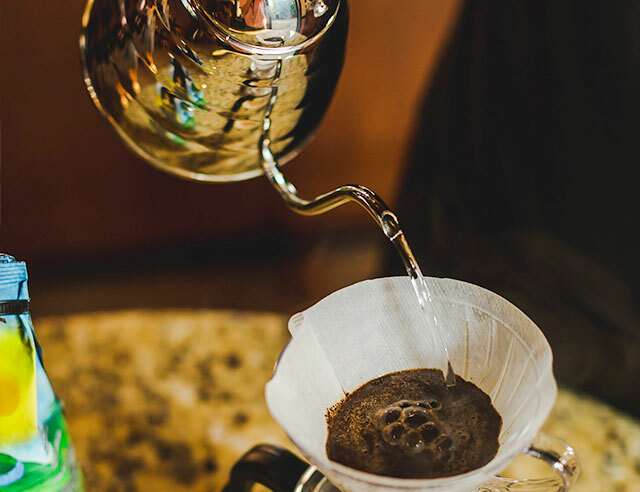 After the 30 seconds have passed, pour the rest of the water over the V60 in a slow spiral motion, making sure water doesn't touch the filter. The coffee and water should not be infused longer than three minutes. All that’s left to do is enjoy your drink. 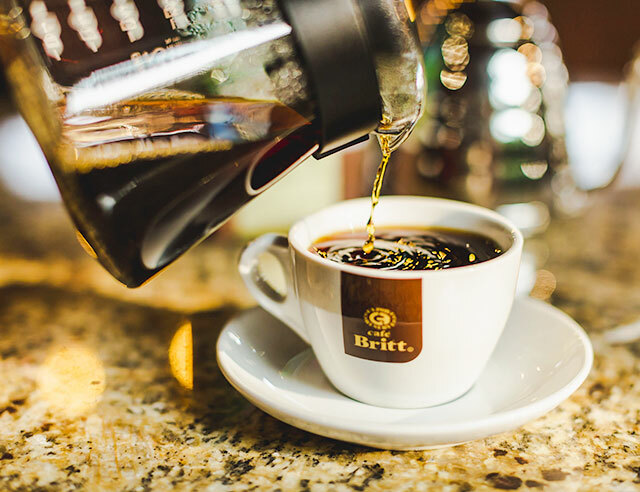 Once poured into a mug, stir the fresh coffee a bit to make sure the drink is fully mixed. 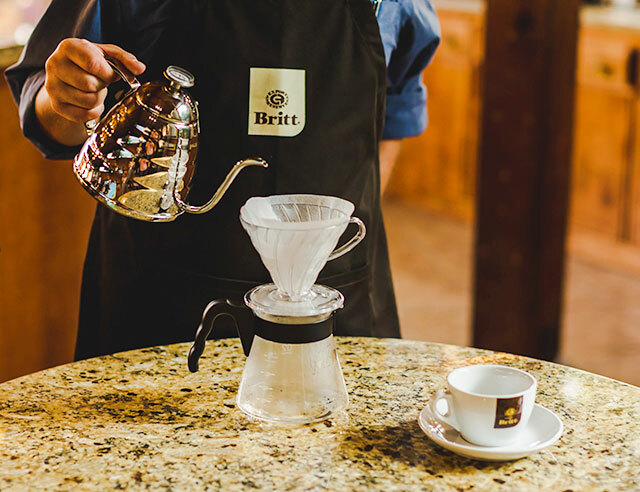 The V60 is one of the easiest and most effective ways of brewing coffee. 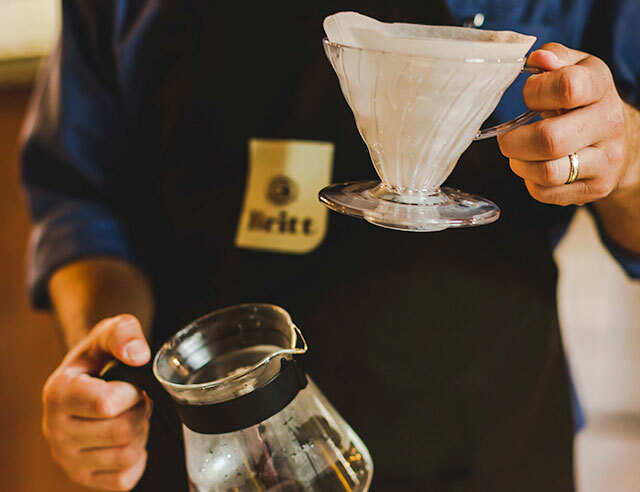 The simplicity of the method makes it especially great for beginning brewers. 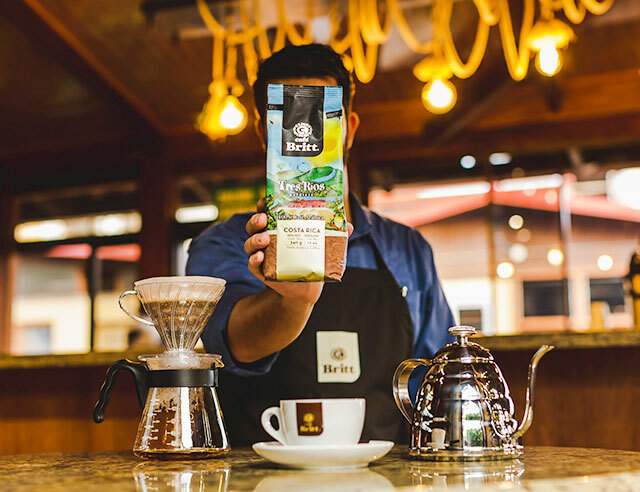 Our preferred coffee blend for this brewing method is our Tres Rios Valdivia. 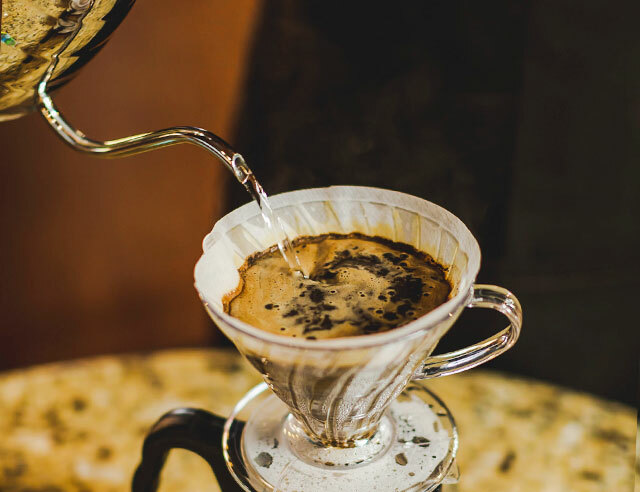 Described as one of our more "elegant" blends by our master cupper, Doña Carmen, this medium roast presents an aroma of honey-nut as well as flavors of plum, allspice, and orange citrus.